Notable Wisconsin Writer by WI Library Assoc. Alden Carter's 13 novels, 25 nonfiction titles, and 7 picture books have won numerous honors. His fiction is praised for its realistic depiction of young adult life. His novels Sheila's Dying, Growing Season, Up Country, Between a Rock and a Hard Place, Bull Catcher, and Wart, Son of Toad were named American Library Association Best Books for Young Adults. In 1994, the Young Adult Library Services Division of the ALA selected Up Country to its list "The Best of the Best: the 100 Best Young Adult Books of the Last 25 Years." 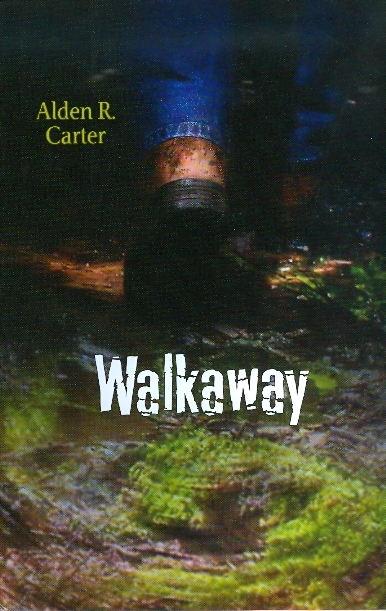 Mr. Carter's latest book for young adults is his novel Walkaway, published by Holiday House. 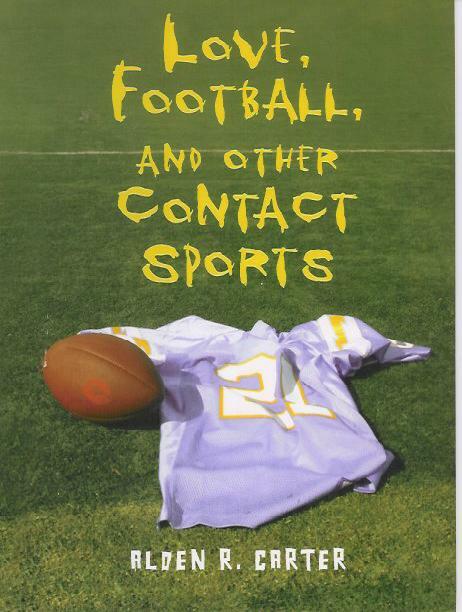 Besides his work for young people, Mr. Carter also writes adult fiction and nonfiction. 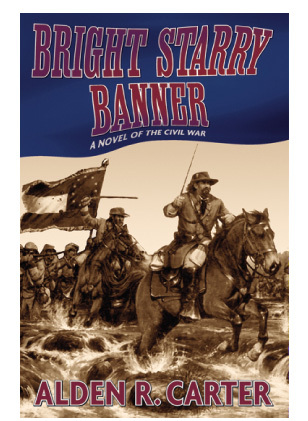 His Bright Starry Banner: A Novel of the Civil War was released by Soho Press in March 2004 and won the prestigious John Esten Cooke Fiction Award from the Military Order of the Stars & Bars. With co-author Dr. David Wen Wei Chang, he wrote The Scholar and the Tiger: A Memoir of Famine and War in Revolutionary China, published by Rowan & Littlefield in Feb. 2009. Dr. Chang died in Oct. 2010. 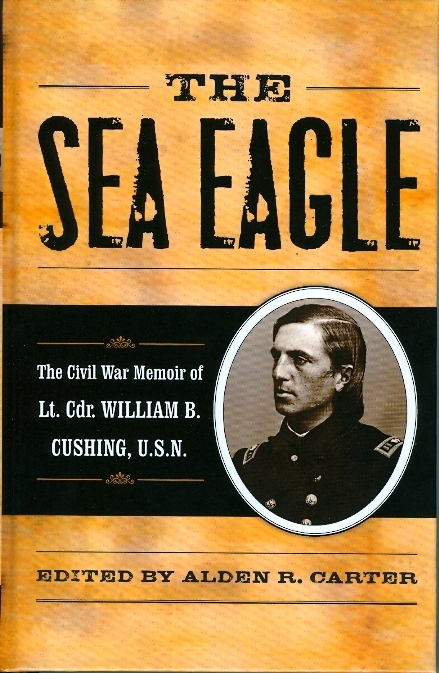 Mr. Carter's most recent nonfiction book for adults is The Sea Eagle: The Civil War Memoir of Lt. Cdr. William B. Cushing, U.S.N. Home is hell, the woods inviting. Can Andy simply walk away from his problems? Or is he loaded down with more than anyone can carry? 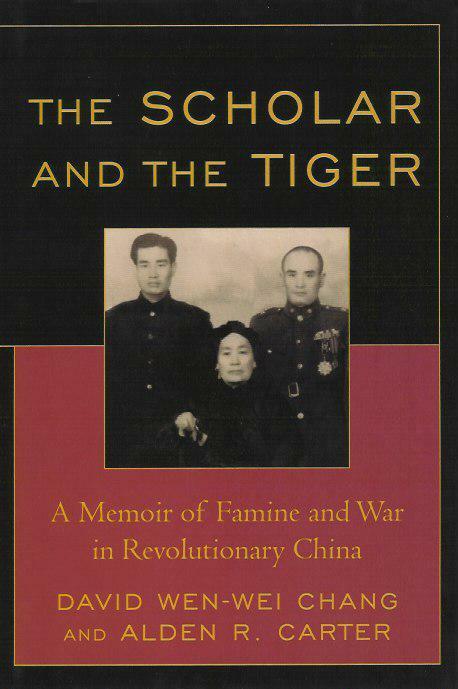 The Scholar and the Tiger is at once a compelling family saga, thriller, social history, and spiritual journey. Written by a leading China scholar in partnership with a noted author, the story brings to life some of the darkest pages in twentieth century history while providing surprising insights into the China of today. Lt Cdr. William B. Cushing, U.S.N. The memoir of the young Civil War naval officer who terrorized the North Carolina coast and brought off one of the naval coups of the war when he steamed up the Roanoke River to sink the fearsome Confederate ironclad Albemarle. 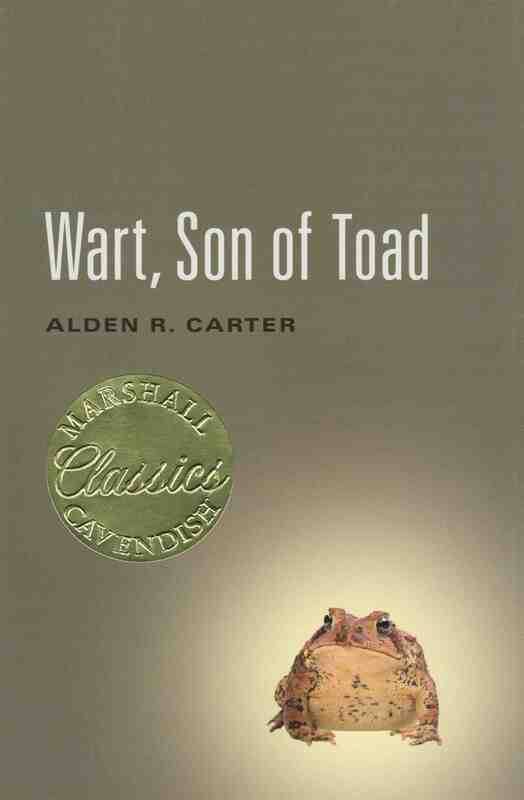 Long out of print, Alden Carter's Wart, Son of Toad becomes available to a new generation of young adult readers in both hardcover and ebook. “[A] dynamic collection of [interconnected] short stories…. Readers can leave their stereotypes at the door.”—Booklist starred review. "From the air, Beijing’s Olympic stadium seems to float on the land, an immense bird’s nest of intertwining buttresses and girders that seems made as much of wind and sunlight as concrete and steel. Unlike the glowering barrier of the Great Wall, a few dozen miles to the north, this structure welcomes the visitor to China. Here, the stadium seems to announce, is a changed China, a China fully involved with the community of nations as partner, competitor, and powerful voice in the making of the 21st century." 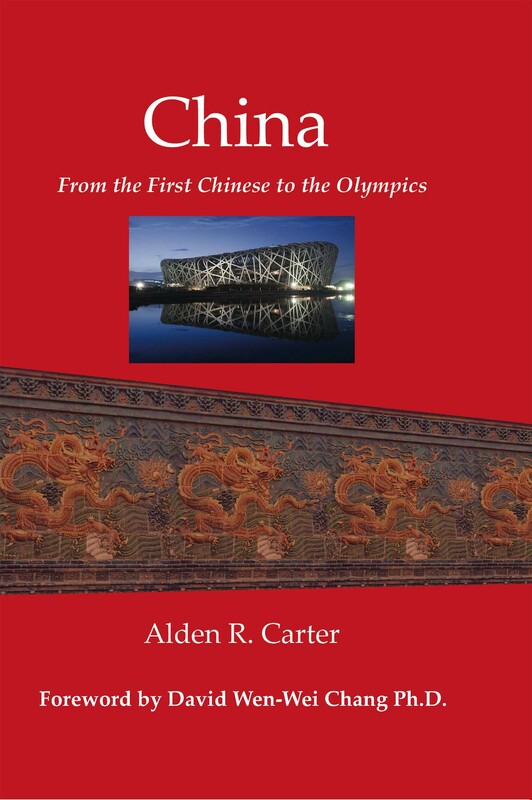 Alden Carter's concise history traces the development of China from its ancient roots to the present with a special emphasis on the era of reform since the death of Mao Zedong in 1976. Looking into China's challenging future, he considers both the immense obstacles facing China and the possible outcomes of social change and global competition on an ancient civilization that only truly joined the modern world with the 2008 Olympic Games. Mr. Carter is honored that the international scholar Dr. David Wen-Wei Chang has contributed a thoughtful and moving forward to China: From the First Chinese to the Olympics. 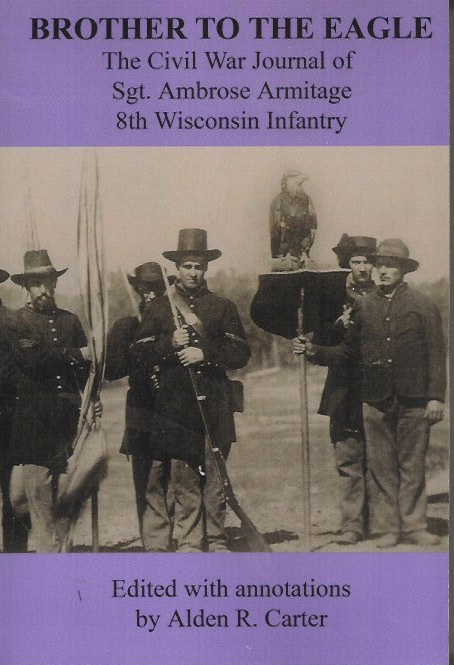 Recruited from farms and country villages, the 8th Wisconsin Infantry became one of the hardest marching and fighting units of the Civil War. At its head, between the regimental colors and the national flag, rode the eagle Old Abe, his defiant scream announcing the presence of the famed 8th Wisconsin on battlefields across the South. 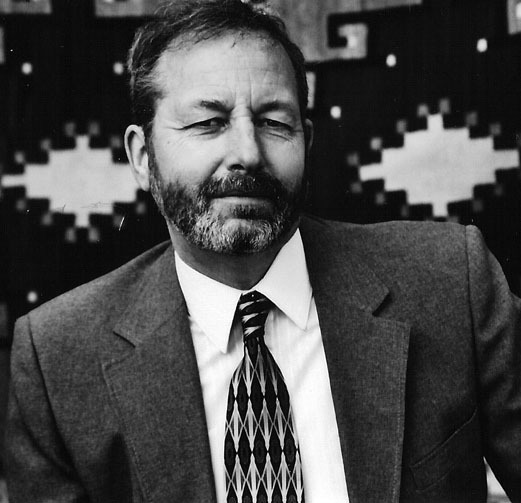 Mr. Carter's many and varied nonfiction books have won numerous honors. His respected books on military and political history include The War of 1812: Second Fight for Independence, winner of an Outstanding Achievement in Children's Literature Award from the Wisconsin Library Association, and The Spanish-American War: Imperial Ambitions, named Best Juvenile Nonfiction Book of the Year by the Council for Wisconsin Writers. The Civil War: American Tragedy has become a standard introduction to the war for grade-school children. Please see Books of Alden Carter. Mr. Carter's picture books for and about children facing special medical challenges have won wide recognition. He is co-author with his daughter, Siri, of I'm Tougher Than Asthma, an American Bookseller Pick of the Lists, an Orbis Pictus Award nominee from the National Council of Teachers of English, a Cooperative Children's Book Center Choice, and an Outstanding Achievement in Children's Literature from the Wisconsin Library Association. Many of the same awards were given to his picture books about Down syndrome, Big Brother Dustin and Dustin's Big School Day. Mr. Carter frequently collaborates with his wife, the photographer Carol Shadis Carter. Their book on vision impairment, Seeing Things My Way, was named an Outstanding Book for Young People with Disabilities by the International Board on Books for Young People (IBBY). The Carters' book Stretching Ourselves: Kids with Cerebral Palsy, received an Oppenheim Toy Portfolio Gold Seal and was named a Wisconsin Library Association Outstanding Book. The Carters' latest picture book from Albert Whitman, I'm Tougher than Diabetes, won the Acher/Eckblad Children's Picture Book Award from the Council for Wisconsin Writers (CWW). For all Mr. Carter's picture books, please see Books of Alden Carter. Mr. Carter has made over 600 presentations in schools and at conferences nationwide, including the National Council of Teachers of English, the International Reading Association, the American Library Association, and the Civil War Preservation Trust. He particularly enjoys speaking to young people. One language arts teacher described a presentation: "With humor and a knack for communicating with young people, Al Carter combines advice on writing with sound lessons for growing up." "I write for young people because I'm always astonished at their courage," Mr. Carter explains. "They deserve good stories, and when they want to talk in my imagination or in person, I listen." For more information on programs, go to programs and workshops. Go to record & references for a list of Mr. Carter's past speaking appearances and references. Mr. Carter established Brush Wolf Press to publish Auschwitz Veterinarian by Dr. Tadeuz Kowalczyk, D.V.M., an account of his five terrible years in the Nazi death camps, Auschwitz Veterinarian is available from the press at a nominal fee or may be downloaded free at: http://www.aldencarter.com/brushwolfpress.html. Brush Wolf Press is interested in seeing war diaries, letters, journals, and remembrances for possible publication. Authors and custodians of documents are cautioned that submission to the press should be in the interests of preserving history, not in anticipation of large profits. Alden and Carol Carter live in Marshfield, Wisconsin. Carol is a photographer and a noted fabric artist. They have two adult children, Brian, an architect, and Siri, a student and horse trainer. The Carters enjoy books, baseball, the outdoors, their energetic toy poodle, Louie, and the birds, squirrels, rabbits, possums, deer, and raccoons that visit their outdoor feeders. For more biographical information on Mr. Carter and his family, go to resumé.